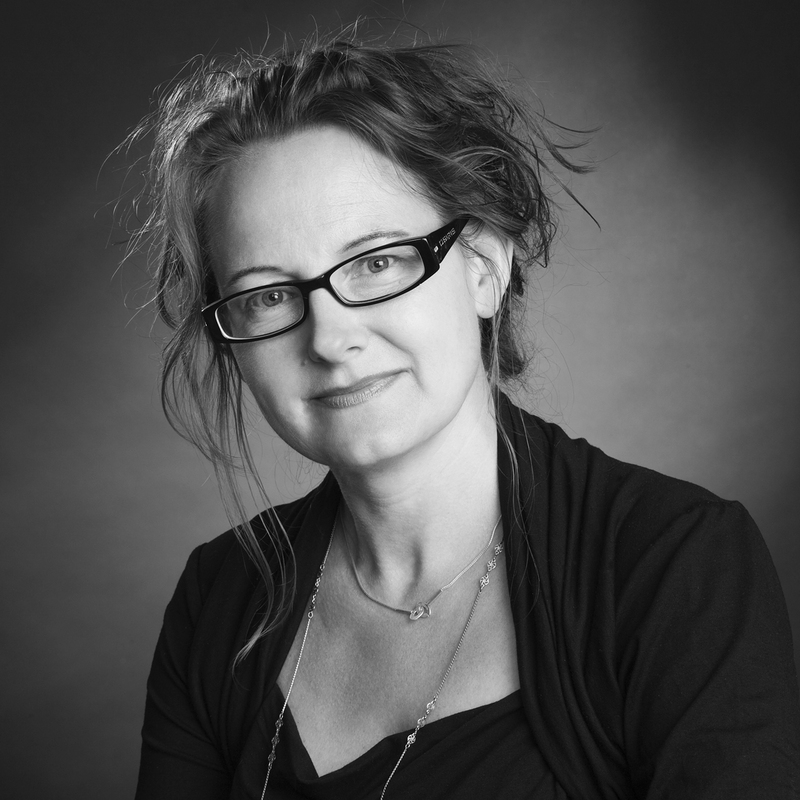 Mai-Britt Guldin, Clinical Psychology Specialist, Senior Researcher, Palliative Care Team, Aarhus University Hospital, Denmark, a board member of the European Association for Palliative Care (EAPC) and a member of the EAPC Taskforce on Bereavement Care Provision in Palliative Care. Here, Dr Guldin explains the background to a longer article that is published in the July/August edition of the European Journal of Palliative Care. Bereavement care is an aspect of palliative care that extends to caring for those who are important to the patient. Yet, there is limited information about the range, type and extent of bereavement services available from palliative care services in Europe. We lack knowledge about the extent to which palliative care services use formal guidelines or evidence-based standards to inform and plan bereavement care. Do palliative care services use formal guidelines or evidence-based standards to plan bereavement care? In 2013, an EAPC Bereavement Care Taskforce was set up and co-chaired by Irene Murphy and Orla Keegan. Steering committee members were recruited with backgrounds in social work and psychology from the UK, Spain, Sweden and Denmark. We conducted an online survey, based on previous questionnaires, in EAPC membership countries at the end of 2013 and the beginning of 2014. This has resulted in the largest international survey on bereavement care provision in palliative care. 370 responses from 25 countries. 302 (82%) of responding services offered bereavement support. A wide range of bereavement support was provided, telephone support and literature on grief being the most common. Nearly half of the services (47%) employed a bereavement co-ordinator. 60% of the services provided formal bereavement training (less than 16 hours). Only 33% of the responding services were based on formal guidelines or policies. 25% of the services used a formal risk assessment tool to appropriately target groups in need of support. The EAPC Bereavement Taskforce concludes that the prioritisation of bereavement care as a core part of palliative care was not evident in all services and a substantial minority (18%) offered no bereavement support at all. Services providing bereavement support had few bereavement-specific roles and only half the services employed a bereavement co-ordinator. Most bereavement support was not based on formal bereavement care guidelines and formal risk assessment was relatively rarely used. To optimise support for bereaved relatives, it seems timely for the EAPC and palliative care services in Europe to formalise the planning of bereavement care. The Bereavement Care Taskforce will continue its work to develop an EAPC statement of best practice in bereavement care. We gratefully acknowledge the support of the EAPC and thank all the professionals who took the time to respond to the questionnaire and the organisations who supported it. The European Association for Palliative Care Bereavement Care Taskforce. This post relates to a longer article, ‘Bereavement care provision in Europe: a survey by the EAPC Bereavement Care Taskforce’ by Mai-Britt Guldin, Irene Murphy, Orla Keegan, Barbara Monroe, Maia Antonia Lacasta Reverte and Inger Benkel, published in the July/August 2015 issue (Vol. 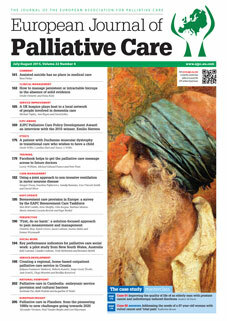 22 (5) of the European Journal of Palliative Care. You can also download a free copy of this article from the EAPC website. If you have a web-based subscription to the journal you’ll be able to download this issue, plus all articles in the journal archive. You can also browse the archive and download articles by taking a 10-minute or 30-minute subscription. Members of the EAPC receive discounted subscription rates to the journal – click here to subscribe online. This entry was posted in BEREAVEMENT, EAPC ACTIVITIES, EAPC Taskforces/special projects and tagged Bereavement care in palliative care, EAPC Bereavement Care Task Force. Bookmark the permalink.